We are offering DigiBind Book Casing In Machine. 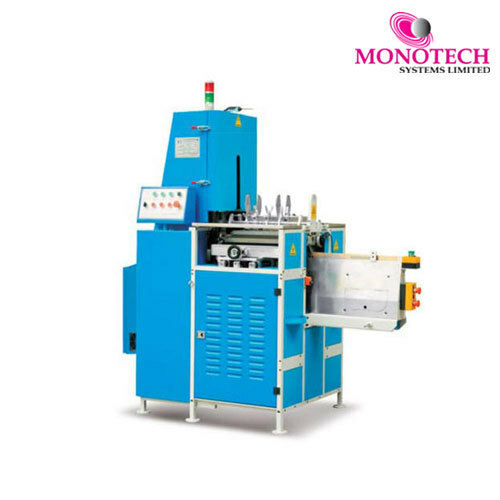 Monotech Systems Ltd is a leading manufacturer and Solution Provider of high end, high performance and reliable products and solutions for printing, packaging industry in India representing a number of world renowned companies and have pioneered the introduction of modern equipment and systems to the Indian Printing industry. Established in 1999, the company has been consistently achieving sound growth in business year by year and has become Market leaders in its field and an array of segments. This growth comes from the company’s ardent commitment to customers, genuine intention to succeed, meticulous teamwork, consistent attentiveness to customers and outstanding professionalism. The company is backed with highly skilled and committed employee base focused on total customer satisfaction by providing efficient, superior products and solutions with customer friendly services. Monotech has its corporate and registered office in Chennai and has extensive sales and service support across the nation.